Tony Menendez, CFE, found some questionable accounting practices at Halliburton. When he realized the company was knowingly violating Securities and Exchange Commission rules — and the SEC wasn't going to investigate — he brought a whistleblower claim against Halliburton for violating his rights under the Sarbanes-Oxley Act. After a nearly nine-year fight, he was vindicated. Let's say you bought a custom-made guitar online. "Gee-tars Plus" charged your credit card, emailed you a receipt and then told you it would ship your guitar in six months to a year. However, it booked the sale in the current quarter. That's called an improper "bill-and-hold" sale. Is that a good accounting practice? The U.S. Securities and Exchange Commission (SEC) probably wouldn't think so. Gee-tars Plus — a fictional public company — wanted to speed up its revenue recognition and boost its earnings before filing its annual financial statements with the SEC and before its annual shareholder meeting. So it recognized revenue on hundreds of guitars — sometimes even before it had bought the raw materials — and logged the sales at least a couple of quarters before it eventually delivered the guitars to their customers. Tony Menendez, CFE, the former director of technical accounting research and training at Halliburton, recognized a similar bill-and-hold situation, but he wasn't dealing with guitars when he worked at the company. He was concerned about the annual recognition and timing of revenue for billions of dollars worth of annual products and equipment that Halliburton must manufacture and later use to provide oilfield services for its customers. "After months of research, debate and investigation, I simply could find nothing to support the recognition of revenue on equipment sitting in a Halliburton warehouse," Menendez says. "In fact, Halliburton's own accounting policy recited word for word the criteria set forth in SAB 101 that Halliburton accountants had to satisfy in order to recognize revenue. I even checked all the internal revenue recognition memos written by my predecessor as well as all the U.S. GAAP training materials provided to the organization." He says the unassembled equipment wasn't even ready to be shipped to the customer. "Halliburton was holding the equipment in anticipation of performing future oil field services for its customer." Menendez shared his findings with his boss, Mark McCollum, the company's chief accounting officer at the time, who along with other top Halliburton accounting executives agreed with his accounting conclusion. But Menendez said they dragged their feet because correcting the accounting would've required a costly and embarrassing restatement. Meanwhile, the SEC had long been enforcing regulations for improper bill-and-hold sales, and Menendez figured that Halliburton suspected the SEC could hold its feet to the fire. Halliburton's accounting execs eventually decided, after all, that their revenue recognition procedures were just fine and decided not to correct its accounting. Menendez filed a confidential complaint with the SEC in November 2005 because he believed (and believes) that a company commits fraud when it knowingly violates accounting and SEC rules and misleads the investing public. I think more companies are embracing individuals for their honesty and integrity, but we still have a long way to go." 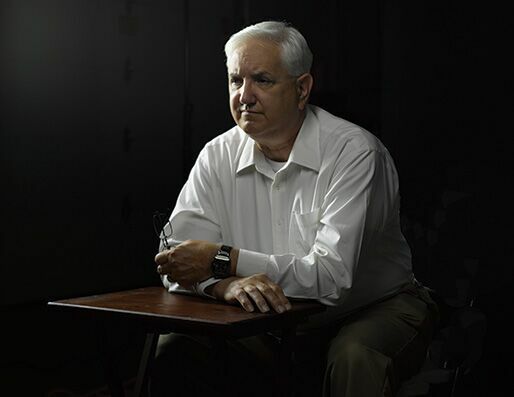 On Feb. 4, 2006, he sent an email to alert the audit committee of Halliburton's board of directors about the accounting problem. That's when Menendez's world exploded. On Feb. 8 of that year, McCollum told Halliburton executives in an email that, "The SEC has opened an inquiry into the allegations of Mr. Menendez." Menendez became persona non grata. Eventually, the SEC said it wouldn't investigate, and an internal Halliburton investigation cleared the company. Menendez tried in vain to persuade the SEC to pursue the case. He left Halliburton in 2006 and brought a whistleblower claim under the anti-retaliation provisions of the Sarbanes-Oxley Act. In September 2008, an administrative law judge determined that Halliburton hadn't retaliated against Menendez. He then represented himself in appealing the case to the Administrative Review Board (ARB). In September 2011, the ARB overturned the original trial judge. Halliburton appealed to the Fifth Circuit Court of Appeals, but the panel ruled that the company had retaliated against Menendez for blowing the whistle. Menendez had only asked for $1,000, but the court awarded him $30,000. After almost nine years, he'd won his battle. 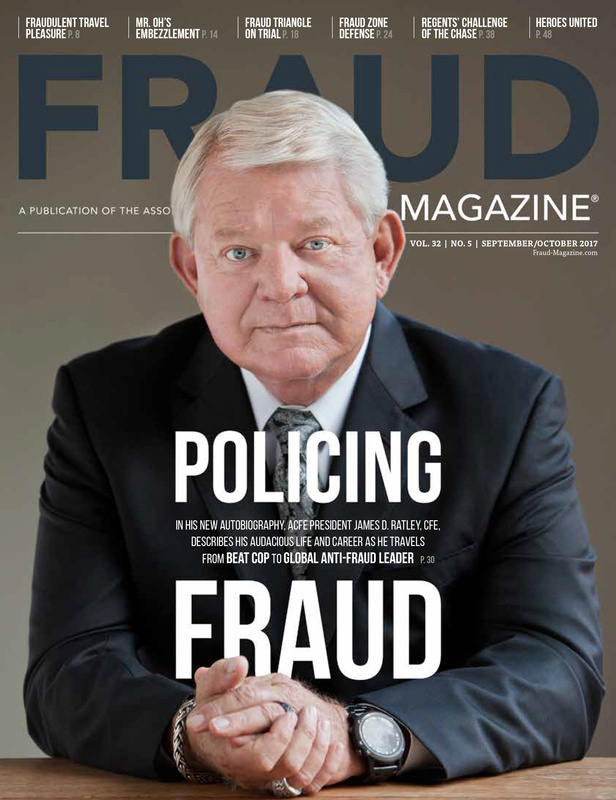 Menendez, who'll receive the ACFE's 2016 Sentinel Award for "Choosing Truth Over Self" at the 27th Annual ACFE Global Fraud Conference, tells his story. FM: The Securities and Exchange Commission had been cracking down on improper bill-and-hold revenue recognition since 1999. But it was now 2005 and Halliburton hadn't changed the practice. Do you know if anybody had questioned this practice before you? TM: In 2004, internal auditors pressed my predecessor on their finding that the company's accounting policy manual required Halliburton to satisfy all the bill-and-hold criteria. The internal auditors highlighted that they couldn't find any evidence supporting at least four of the criteria, and they didn't see anything in the contracts that could put the company in the position to meet all the SEC requirements. Apparently, the internal auditor dropped the issue. Consequently, the problem was still there when I arrived in 2005. FM: When you raised your concerns, what were your expectations from your boss, Mark McCollum, the chief accounting officer, and Halliburton? TM: I'm not sure what I expected. I hoped he would recognize the company was improperly recognizing revenue on bill-and-hold transactions, and when I brought it to his attention, he did. I also hoped he would tell me we were going to correct the problem and get back within the lines of what was appropriate, which he also did. FM: So top accounting executives at Halliburton, including McCollum, apparently initially agreed with your analysis, correct? But then they dragged their feet? Why was that? TM: Yes, initially McCollum agreed. I would say they dragged their feet because they had a big problem. They had been improperly accounting for bill-and-hold sales since at least 1999. Initial estimates of the error were material and would have required the company to restate its financial statements. It's not hard to imagine that the leadership had no appetite to restate, so it instructed accountants to revisit their estimates — or more properly guesstimates — and when that didn't minimize the error enough, leadership told accountants to "peel off" inventory amounts under various unsupportable arguments to avoid a restatement. 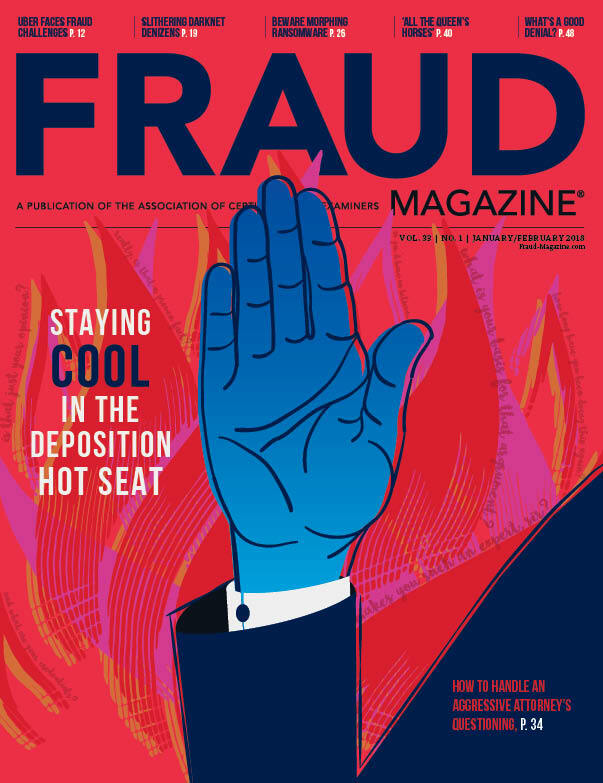 The sudden lack of support from executives at KPMG — Halliburton's auditors at the time — could be attributed to bad timing considering that around the same time, KPMG had signed a Deferred Prosecution Agreement with the Department of Justice to avoid criminal prosecution for another matter related to tax shelters. As part of its agreement, KPMG agreed to pay a $456 million fine and a one-year probation. I suspect KPMG was highly motivated to avoid a Halliburton restatement at the time. FM: What was your wife's reaction when you first told her about the possible accounting fraud? TM: She felt strongly that we had an obligation to do what was right and was very supportive. FM: Why did you decide to stay at Halliburton and then secretly tape-record your bosses in meetings? TM: Making the decision to tape the meetings was, by far, one of the most difficult things I had to do. As the director of technical accounting, I found myself in an awful predicament. I was clearly aware of improprieties and faced executives in a powerful company who had refused to take action to correct the accounting. All I knew was I had to protect myself and my family. We are, after all, talking about a business world still reeling from the impact of Enron and WorldCom — when accountants went to jail. FM: Can you describe what McCollum said to you when he said your approach was wrong? TM: After praising my memo and telling me my conclusion was right, he told me that I embarrassed the people who got it wrong, which left those individuals upset and defensive. He went on to advise me that I had to recognize the political realities at Halliburton or get run over by them. He also spent a lot of time explaining that he didn't want me to put things in writing and told me to be incredibly circumspect in my use of email going forward. The atmosphere changed immediately to cold and callous. Coworkers, even friends, avoided me. My everyday contact with them all but shut down. FM: Why did you decide to then go to the SEC? TM: My decision was based on my ethical and professional obligation to the investing public. Because I was aware of fraud, I believed I had a duty — both morally and professionally — to go to the SEC after all my efforts internally failed. The SEC is an agency designed to investigate and regulate in the interest of the investing public. I guess you could say I was naïve because I believed the SEC to be an institution with an uncompromising foundation and committed to thoroughly investigating allegations of fraud. Imagine my disappointment as I watched the SEC do nothing. FM: Can you describe your reaction when you received the email, addressed to the accounting department, from Mark McCollum, Halliburton's chief accounting officer, which read, "The SEC has opened an inquiry into the allegations of Mr. Menendez?" How did he find out that you had gone to the SEC? TM: I was floored and even afraid. I had no idea if I was outed by the SEC, Halliburton's audit committee or if there was something worse going on. I just realized something was seriously wrong and didn't know what to do. Feeling extremely vulnerable, I grabbed my stuff, left the office and drove for hours in a complete state of disbelief. FM: Did you think that McCollum was trying to blackball you and put you on notice and had no intention of resolving the situation? "... When it is the boss that identifies one of his employees as the whistleblower who has brought an official investigation upon the department, as happened here, the boss could be read as sending a warning, granting his implied imprimatur was on differential treatment of the employee, or otherwise expressing a sort of discontent from on high." FM: What were the repercussions of McCollum's emails? TM: The atmosphere changed immediately to cold and callous. Coworkers, even friends, avoided me. My everyday contact with them all but shut down. No one came by my office; no one called me. People even stopped emailing me. I was excluded from meetings, and KPMG auditors were forbidden explicitly to talk to me. FM: Halliburton, as required by the Sarbanes-Oxley Act, had a whistleblower policy, and you relied on it. But apparently they ignored the policy. How did they explain why they had violated SOX? TM: My confidential complaint to Halliburton's audit committee was almost immediately provided to the CFO who promptly forwarded the complaint directly to the CAO — my boss — the vice president of investor relations and to the KPMG audit partner — basically all the individuals I believe were chiefly responsible for the alleged misconduct. As far as explanations, McCollum testified that he believed that I would "appreciate" being outed. Appropriately, the ARB recognized that McCollum's testimony wasn't credible and noted that: "No reasonable CAO would assume exposing the whistleblower's identity would be welcome." Halliburton also argued that they had to disclose my identity in order to ensure its employees complied with the SEC document retention notice. Here, the ARB correctly recognized that this argument was "disingenuous at best." The ARB noted that obviously Halliburton employees could comply with the document retention notice without divulging my name. FM: What was your reaction after an internal investigation by an outside law firm, which Halliburton hired, cleared the company, and the SEC in 2006 said it wouldn't bring any enforcement action? Did the SEC actually conduct an investigation initially? TM: I was frustrated with the SEC's inaction and failure to investigate. It appeared the SEC did everything it could to look the other way. Instead of performing its own investigation, the SEC abdicated its responsibility and allowed Halliburton to investigate itself. It opened up its "inquiry" when I warned them about the extraordinarily serious accounting and auditing problems in November 2005. The SEC staff I spoke with left no doubt in my mind they understood the seriousness of the situation at Halliburton. Even then they warned me that unless they could get formal approval from a majority of the commissioners, they would not be able to perform a formal investigation and thus, execute subpoena power. My guess is there wasn't much of a chance the staff would get three of the five commissioners at that time to formally investigate Halliburton. Consequently, the SEC never moved past an informal "inquiry." Still, I had hoped they would do a proper investigation. To encourage them, I warned them that they must have closed their inquiry based on incomplete or inaccurate representations from the company. I even provided them evidence showing the audit committee investigators shaded employee testimony to present evidence more favorably to Halliburton than it actually was. As part of Halliburton's internal investigation they summoned one employee, James Paquette, to be interviewed about Halliburton's accounting. [Paquettte worked for Menendez. — ed.] During his interview, he told them he also believed Halliburton was improperly recognizing revenue on bill-and-hold sales. Afterwards, he received a copy of his deposition from the investigators and it seemed doctored. This document made it look like he agreed with Halliburton, which was the opposite of what he actually told the investigators. He immediately edited the whole thing and submitted it back to the investigators. He would later provide me a copy of what he sent back to them, and I would later provide it the SEC. However, not even that would sway the SEC into action. Paquette later testified at the hearing that "he was concerned that the auditors or lawyers were trying to put words in his mouth." He would later go on to say that he "had to edit the whole thing" and "They said, ‘Here was a question and here was the answer.' I said, ‘Yeah that was your question but that wasn't what I said. Here is what I said.' "
In the end, for me, probably the most difficult part of the whole experience was witnessing the abject failure of the SEC — the organization that's supposed to protect individuals and restore investor confidence in the integrity of corporate disclosures and financial reporting. FM: In May 2006, you brought a claim under SOX. What was the outcome? TM: Basically, after I filed my SOX claim in May 2006, I suffered a series of losses at various stages of the SOX administrative process. In September 2008, after receiving the administrative law judge [ALJ] ruling in favor of Halliburton, I even lost my attorney. Understandably so. I was lucky to have Joe Ahmad as my attorney. He put a lot of time and effort into my case and I respected his decision. It is very expensive to fight a company like Halliburton. Given I had lost at every stage of the process and had basically zero chance of winning on appeal, he would have been crazy to keep going. Meanwhile, I couldn't give up and kept going on my own. In September 2011, the ARB ruled in my favor but this wasn't the end of my legal battle. It would take a few more years. In March 2015, I finally prevailed in the Fifth Circuit Court of Appeals. FM: What was your reaction when the administrative judge dismissed your claim? TM: The ALJ's ruling was deeply disturbing. Reading the ALJ's decision, I realized that there were no corporate whistleblower rights — only whistleblower wrongs. I wasn't alone. Apparently, the law didn't protect anybody at that time. By the time I received the ruling in September 2008, the U.S. Department of Labor [DOL] had almost never ruled in favor of whistleblowers, and it even got worse from there — much worse! 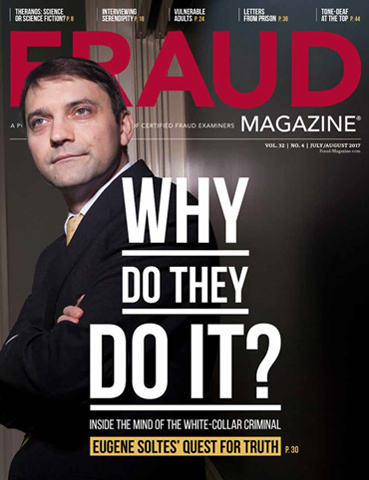 By Dec. 31, 2011, whistleblowers won a total of 23 cases and lost 1,237 cases or 98 percent of the time. Consider this: For three straight fiscal years, whistleblowers lost 488 straight decisions. FM: Why did you decide to fight on and represent yourself? TM: I kept going because I had to. I was deeply concerned that for all my efforts, I stood to make matters worse for future whistleblowers. The ALJ wrote a lengthy decision with major implications, and if the ARB hadn't reversed the decision, companies would be free to out whistleblowers, treat them as government agents, and — among other things — isolate them accordingly without reservation! FM: It's impressive that your current employer wanted to hire you partly because of your whistleblower background. TM: I credit Nick Cyprus, the former chief accounting officer at GM, with hiring me. I have tremendous respect for Nick, who's an unconventional executive who valued managerial courage. I believe that it took someone like him to hire someone like me. I just wish there were more leaders like Nick out there. FM: Have you kept in touch with anybody at Halliburton? 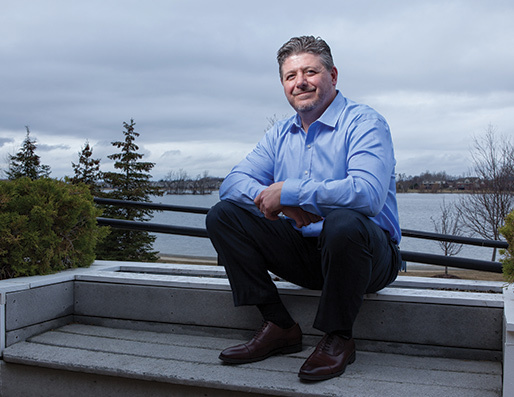 TM: James Paquette is the only person I have kept in touch with from Halliburton. I consider myself very lucky to have a friend like him. He's a good man. I know it wasn't easy for him, and I suspect it wasn't easy on anybody. FM: In September 2011, the administrative law appeals panel overturned the original trial judge. But then Halliburton appealed to the Fifth Circuit Court of Appeals. Eventually, the appeals panel ruled in your favor. What was your reaction when the journey was completed? TM: The case may be over, but the journey is just beginning. I've been honored with two very prestigious awards: the Accounting in the Public Interest Award from Loyola Marymount University and the Sentinel Award from the ACFE. It feels good knowing that others are learning and benefiting from my experience. FM: No sentinel or whistleblower I've interviewed over the last two decades has emerged unscathed. All have lost their jobs, incomes and some, their health. 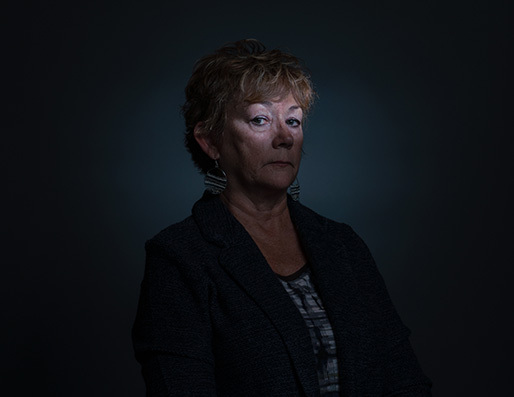 Even with whistleblower laws on the books, why is it still so hard for sentinels to prevail? TM: The stigma of whistleblowers hasn't changed nearly enough. As long as employers see whistleblowers as a rare breed to be feared instead of individuals who add great value to the working team as a whole, it can be hard for them to prevail and society as a whole bears the greater risk. FM: Since 2005, have you seen other organizations and corporations take a similar stance — that a sentinel can be a stellar employee because of his or her honesty and forthrightness? TM: I believe change is in the air and more corporations are working hard to create more effective work environments. I think more companies are embracing individuals for their honesty and integrity, but we still have a long way to go. There are too many talented individuals that happen to be whistleblowers without meaningful jobs where they can make a difference. FM: What sustained you during your nine-year fight? How have you changed? TM: My family and my upbringing. I have been redeemed in some ways and humbled in others. FM: As a CFE, what have you learned about this entire ordeal that has helped you in your career? TM: After losing my job at Halliburton, I had serious concerns about my prospects for working as an accountant again. While I was on administrative leave, I understood that I wasn't going to have a job to go back to at Halliburton. Fortunately, I came across the ACFE website and then realized I had other options. I got my CFE and have been able to benefit from both my CPA and CFE ever since. 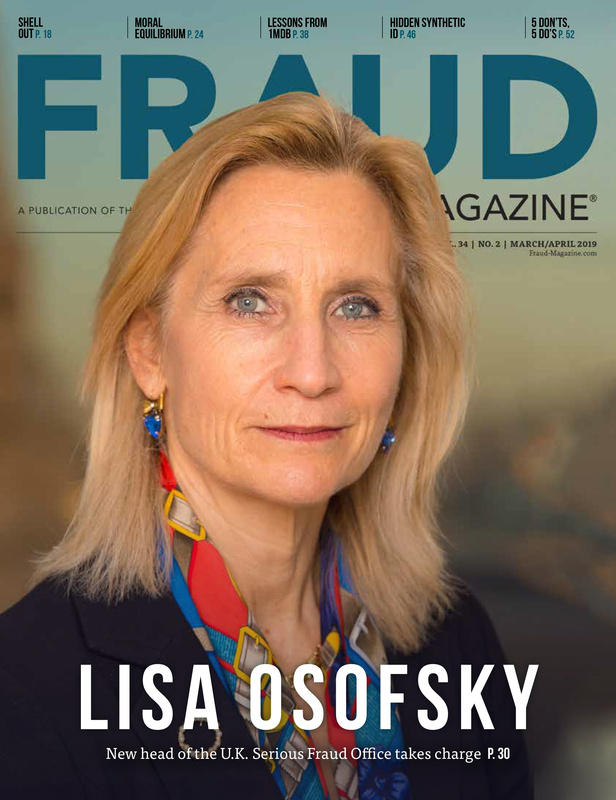 I spent several years providing forensic accounting services as a litigation consulting expert working with attorneys representing shareholders in complex nationally litigated cases involving allegations of improper accounting and auditing. I have also been very fortunate to have opportunities to share my personal and professional experiences with others. 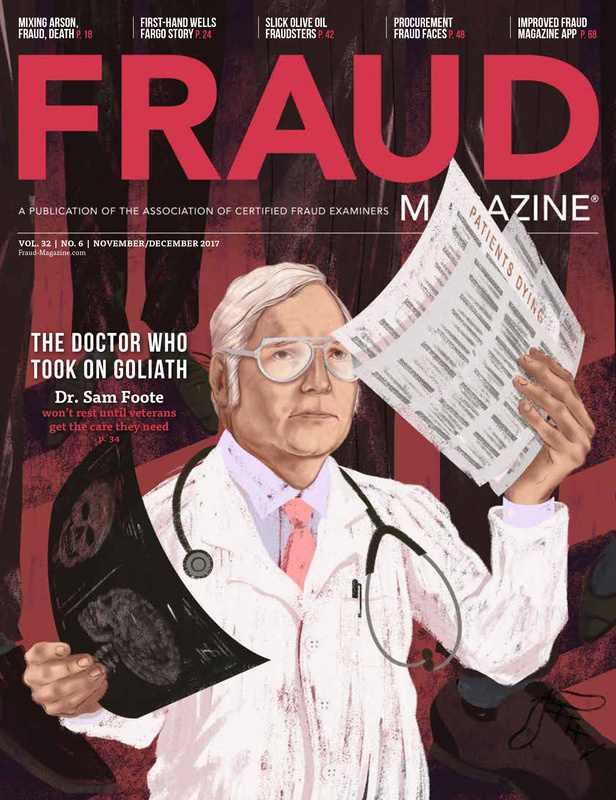 FM: What advice can you give to fellow fraud examiners who are serving in the trenches? TM: Take your patience with you, and keep up the good fight. 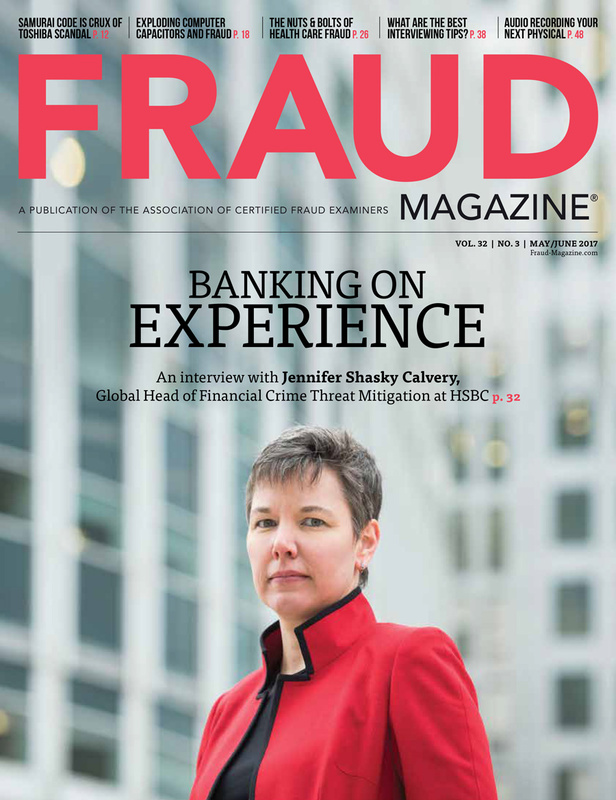 The service of fighting fraud can be a lengthy process, but it is essential to building a better world. FM: Dr. Joseph T. Wells, CFE, CPA, founder and Chairman of the ACFE, began the association in 1988 with the idea that organizations should promote a stellar tone at the top not just in word but also in deed. How did the examples of Halliburton's top management affect the ethics and performances of the employees? 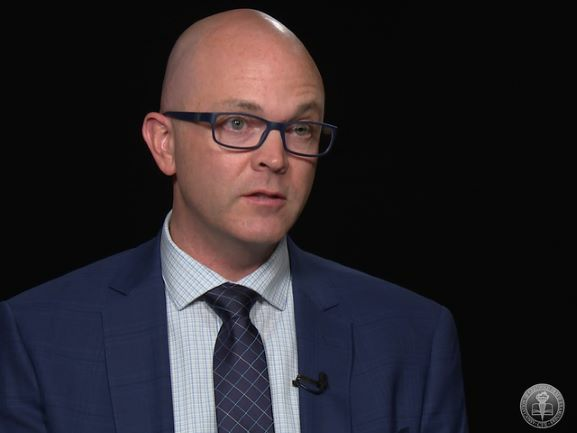 TM: I can't say for certain the impact that Halliburton's actions had on the performances of the employees, but I am willing to bet their actions have had an adverse lasting effect on employee morale, whether they're obvious to them or not. FM: You've probably been asked this question more than any other: In hindsight, after this excruciating ordeal, would you do it again? TM: I seriously doubt I will ever be in that position again. However, I know others will, and I wish them Godspeed in their important and difficult journeys.